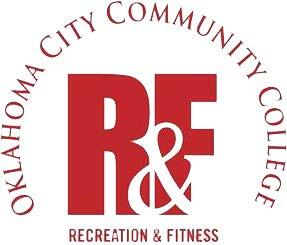 The summer camps at OCCC are wrapping up with the summer semester coming to an end. However, there are still a few more camps children can attend, said Intramural Sports Assistant Matthew Wright. The last all-day camp Summer Blast Extravaganza will be offered from 8 a.m. until 5 p.m. Monday, Aug. 5, through Friday, Aug. 9. The cost is $100 per child and includes a field trip to Andy Alligator’s Water Park. “That’s why the cost for that is $100 for the whole week,” Wright said. Wright said participants get to play recreational games and end the week with a half day at the park. “The Andy Alligator’s one is really fun,” he said. “We went for [about] three hours last year and the kids had a blast,” he said. OCCC also will offer some half-day camps. Multi-Sport Fundamen-tals, which teaches basketball and soccer, and Intro to Dance Techniques, which teaches Jazz and Hip Hop, are both offered from 8 a.m. until noon Monday, July 22, through Friday, July 26. Intro to Flag Football Fundamentals and Intro Cheer/Dance Fundamentals camps will be offered from 8 a.m. until noon Monday, July 29, through Friday, Aug. 2, Wright said. The camps each cost $65 per child per week. Wright said during the sports camps, participants will learn basic skills they can use throughout their entire life. “A lot of kids don’t really know how to catch a pass correctly or play defense when they’re playing with friends,” Wright said. “They’re going to learn the skills needed to catch a football or to throw a football, just the basic skills they’ll need when they play sports as they get older,” he said. On the last day of the Intro to Flag Football Fundamentals, Wright said, kids will get the opportunity to play a scrimmage in front of their parents and show off the skills they learned during the week. The cheer camp also participates in the scrimmage by performing. “We’ll set up our flag football field we use for intramurals. They’ll play a game. “The cheer camp will come out too and they’ll do their little cheer on the sidelines, they’ll do a little halftime show, kind of like a real football game. “We’ll have a scoreboard out there and a lot of parents will come and watch their kids play their flag football game,” he said. Wright those interested can sign up online at www.occc.edu/rf/summercamps.html, visit the Recreation and Fitness Office located on the first floor of the Main Building or call 405-682-7860.